An old man was walking along a beach one morning. As he walked, he saw someone down the beach picking things up and throwing them into the ocean. Was he littering? Or what was he doing? The man believed in taking care of the world that we live in. He walked closer to see what th person was doing. As he got closer, he saw that the person he saw was a young boy. The boy was picking up starfish one at a time. He picked them up and threw them back into the ocean. One starfish - then another and another. He picked them up and threw them back into the water. "Good morning." said the man when he got close enough. "What are you doing?" 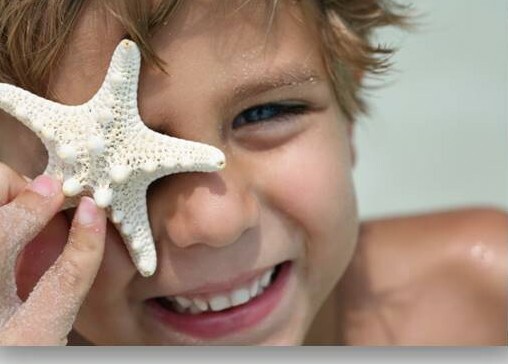 "I am saving starfish," the boy answered. " I am throwing them into the water." The man smiled and asked why he was throwing them into the ocean. "The starfish were caught on the beach when the tide went out. If they sit in the sun very long, they will dry out and die. The man looked at the boy and shook his head. "There are many starfish along the beach. You can't make a difference for all the starfish." The boy listened very politely to the man. Then he bent down amd picked up another starfish. He threw it into the waves. Then he said to the man. "It made a difference to that one."